Estate wineries in Ohio’s Grand River Valley find themselves in a celebration year, with 2012’s hot, dry summer set to produce the best vintage ever for that region. So it’s appropriate that September 15, 2012, is the unveiling of the Cask Project, a group effort to showcase the best of the area’s vinifera, particularly Cabernet Sauvignon and Cabernet Franc, with each of five wineries creating their own ‘continuous blend” in giant oak barrels. 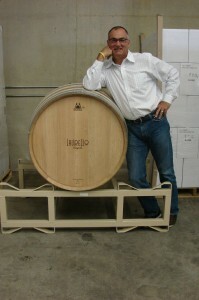 The idea for the Cask Project came from Tony Debevc, Owner of Debonne Vineyards, inspired by a trip to Greece. During Debevc’s visit to a progressive Greek winery, the local winemaker revealed that he tackled his region’s inconsistent growing seasons by creating a continuous blend of the best of each year’s wines. Debonne Vineyards, Ferrante Winery, Grand River Cellars, Laurello Vineyards, and St. Joseph Vineyards had collaborated on projects before. Their Ice Wine Festival over three weekends in March, and their Turkey Trot tastings draw customers to the area. So the group set up its rules. Each winery would make its own cask, using red wines only from grapes of the Grand River Valley. They’d use the same style of bottle, the same label on front and back, the single differentiator being the winery’s name. 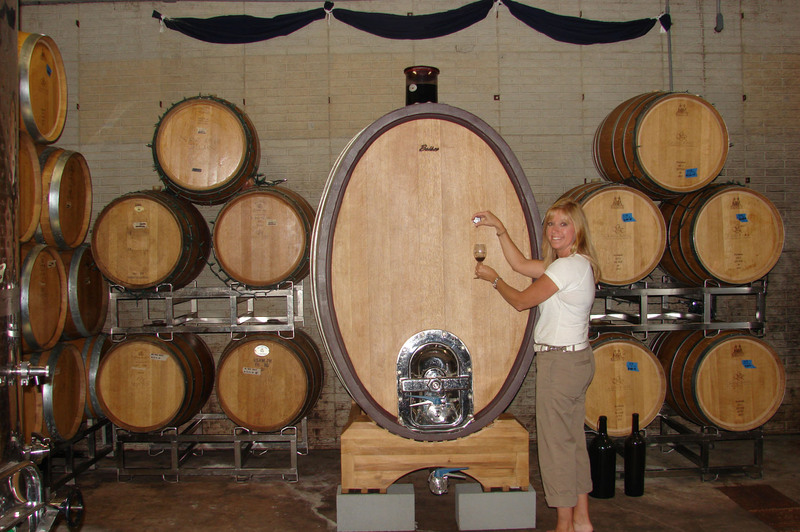 Each winemaker would decide which blend to put in his or her own cask, and the size and type of cask they would use. Debonne, Ferrante, and Grand River invested in huge 500-520 gallon casks, with a $10,000-plus price tag. Each stands about five feet tall and three feet wide, up on blocks. Laurello and St. Joseph bought smaller casks, 135 and 200 gallons respectively. Larry Laurello with a Hungarian Oak cask with French Oak Heads. In 2010 — another good year for the Grand River Valley — the first blends of wine began to age in the casks. The wineries bottled last spring, and put the numbers ‘1012″ on the bottles. The ’10” represents the year the project began, and the ’12” the year it was bottled. The wineries have already added in the best of their 2011 wines (a very rainy year) to top off the casks, and can’t wait to see what the blend does when they add in the fabulously intense wines expected from the fruit of 2012. Eventually, like all barrels, the tannins will diminish. At that point, the wineries may choose to bottle the casks’ contents and start again.